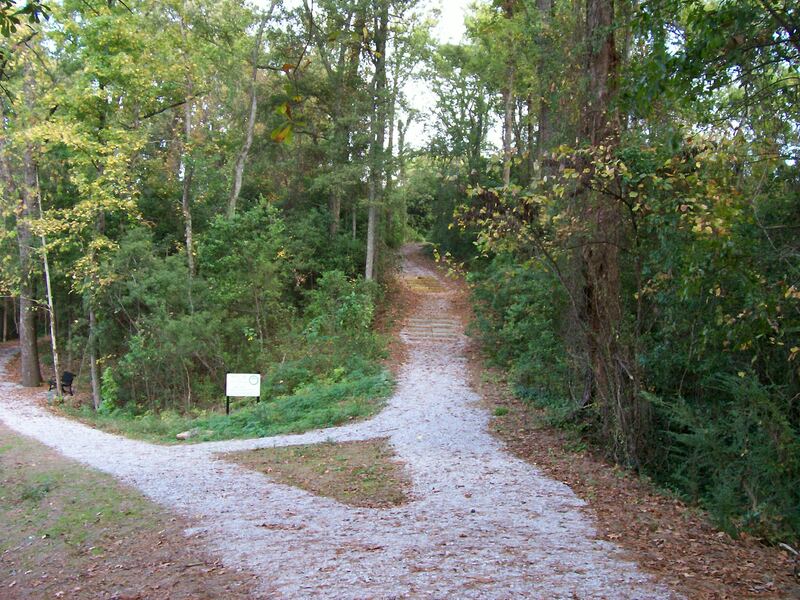 Queen City Park Trail runs between Queen City Ave and Jack Warner Boulevard through scenic woods and past ruins of park structures that were built by the Workers Progress Administration (WPA). The Queen City Trail is located in historic Queen City Park. The park is on the National Historic Register as it was built by the Workers Progress Administration (WPA) in the 30's. The WPA is well known for the work that was done on national projects but they were instrumental in many local projects as well. Tuscaloosa is fortunate to have this park still intact. The WPA built a stone entrance, two trails through the woods down an incline that were lined with brick and had steps, a stone bridge a stone pavilion and a barbecue pit. Near the fire pit area was a bench called the “Courting Bench” which young couples of the day used when out walking. 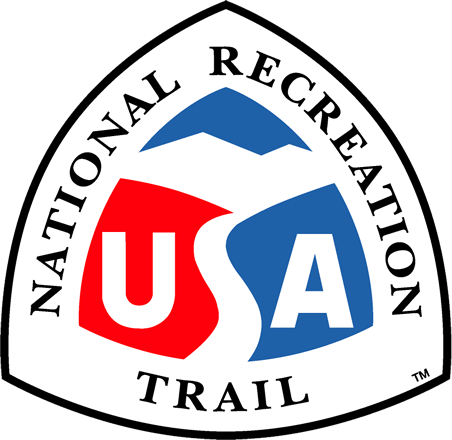 The original purpose of the trail was to connect a downtown neighborhood with the public softball field, picnic areas and a wading pool and the river front. The ball field was replaced by the Tuscaloosa County Public Library in 1976. In 1942 the Warner Family constructed a public pool that was designed by architect Don Buel Schuler, a student of Frank Lloyd Wright and built with WPA money and was one of the finest in the state. The poured concrete bathhouse features a unique design of intersecting circles and arcs. The wading pool contains a delightful art-deco fountain. The pool house is currently being restored and will open as a Transportation Museum for Tuscaloosa, highlighting the river and its importance as a method of transportation in the development of West Alabama. The original trails have been renovated by the addition of a crushed and packed stone surface and 3 foot wide granite steps installed to assist in mitigating the slope. In order for the park trail system to provide better accessibility for persons with disabilities, a new parking area and trail were created. 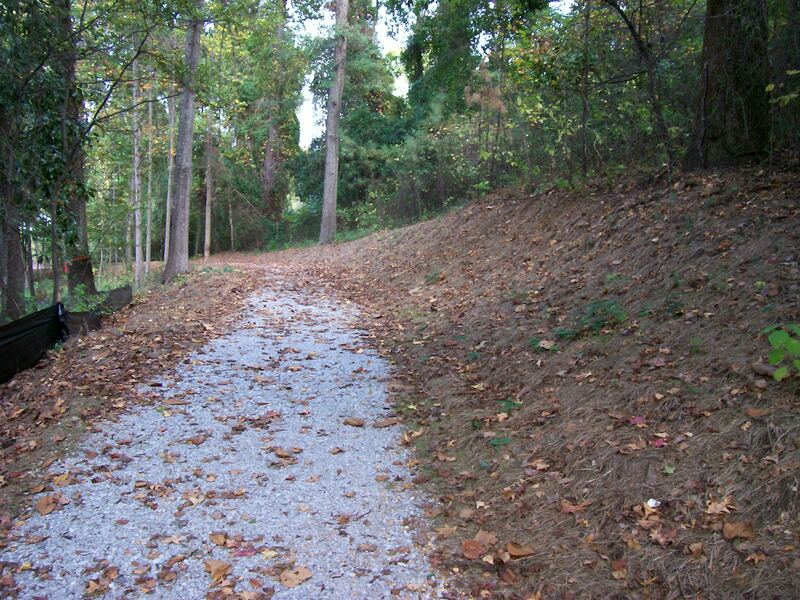 The new trail is approximately 0.3-mile long, with a crushed and packed stone surface. Due to the wetlands area and the proximity to the river crushed stone was for its permeable nature to control run off as well as for ease of maintenance and softer walking surface. The new portion of the trail runs from a newly created parking area. 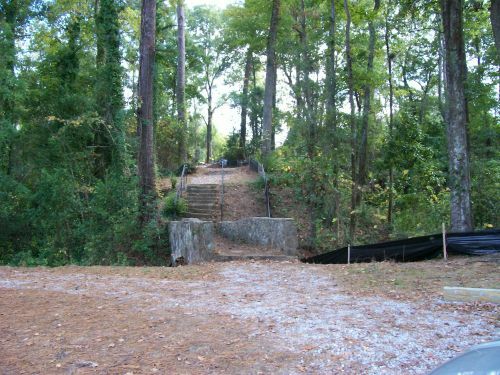 Meanders through the woods past the stone bandstand, a wetland area, in front of the barbecue pit and ends at Jack Warner Parkway. There are benches installed along the trail where pedestrians can sit and enjoy the beautiful woods or read a book from the library. The Queen City Trail system is unique in that it allows the participant to walk through a woodland forest in the middle of town, out of site and sound of urban noise. This is a different experience than walking on an asphalt path in an urban parkway. The park was adopted by the “Friends of Historic Queen City Park” who worked diligently to restore the park to its former state. Across Jack Warner parkway from the park is the River Walk Trail which is approximately 4 miles of paved walking and biking paths along the river front. The Queen City trail will tie into this when the pedestrian crossing is installed at the end of Queen City Avenue. The City of Tuscaloosa and Tuscaloosa County Park and Recreation Authority and the Friends of Queen City Park came together with assistance from the Recreational Trails program, on this project to preserve a historic slice of Tuscaloosa. The park is open from dawn to dusk every day, weekends and holidays included. Photo by Tuscaloosa County Park and Rec.